The Law Centres Network strives for a just and equal society where everyone’s rights are valued and protected. We do this by supporting a national network of Law Centres that work with some of the most vulnerable and disadvantaged people in society. We are the national voice of Law Centres and their clients, representing them at all levels of government and in various national forums. The project will provide high quality tailored training to enhance the skills and practice of Law Centre staff to ensure an expert free legal service is available to vulnerable people in areas of social welfare law that affect their daily lives. To achieve this, the project will continue to upgrade and further the knowledge and skills of Law Centres solicitors and legal caseworkers especially in new and emerging areas of law, but will also seek, by training managers and trustees to advance good practice models, new ways of working and alternative income streams for Law Centres so that they can improve their sustainability and so continue to ensure that legal needs are met. The implications of leaving the European Union will have a significant impact on the vulnerable clients of Law Centres. Clients and voluntary sector colleagues are looking to Law Centres to provide leadership on this issue in their local communities. To meet this demand this project will equip them with knowledge and skills by working with Law Centre specialists in considering the effects of the Great Repeal Bill and the transposing of European law into domestic law and engaging with the Government and parliamentary law makers. Replacing IT equipment to enable the Law Centre to establish a mobile office following the Grenfell Tower fire. collect robust data that allows Law Centres and the Network to identify and respond to trends, as well as provide accurate evidence of the impact of Law Centres work. The project will establish an ongoing subscription system to fund future upgrades and support. This is year 2 of a three year project to establish a self-financing and on-going training programme for Law Centres and other specialist legal organisations. The purpose of the training programme is to update and extend the skills and practice of Law Centre staff and in so doing, ensure an expert free legal service is available to vulnerable people in the areas of law that affect their daily lives. Training will cover areas of law, practice management and organisational management. Training will be developed collaboratively with Law Centres, in response to requests for particular training and in many cases using the expertise within Law Centres. Undertake an audit of the current IT hardware and software and consultation on IT needs leading to a proposed solutions package. Negotiate with suppliers to provide and assist in implementing the proposed solutions package. Law Centres are working jointly at national, regional and local level on a number of projects. Doing this efficiently is limited by both the standard of equipment and compatibility of software and data nationally. 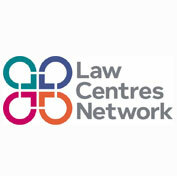 LCN is impeded in its representation of Law Centres by cumbersome processes to collect up-to-date data from Law Centres. Although collectively Law Centres have ideas for digital solutions to client need, it is difficult and costly to implement such initiatives because there is such a diversity of hardware and software being used by Law Centres. It is 10 years since a national audit was undertaken of Law Centres ICT equipment. Stage 1 is a detailed assessment of Law Centres ICT status and then make a recommendation for an achievable national ICT plan for Law Centres.